The Junior League of Birmingham’s Corps of Volunteers project enables the League to assist community agencies which do not have a need for League volunteers on an ongoing basis, but may have a need to staff a one or two day special event or have a one time need for extra volunteers. All volunteer requests must be for community-based, hands on opportunities. These projects cannot be administrative (envelope stuffing, labeling, office work) in nature. The League requests that four to six weeks advance notice of an event be given, if possible, in order to allow the League to obtain the necessary League approvals and notify the volunteers. Weekend and/or evening opportunities are preferable. The League cannot guarantee volunteers. If volunteers choose to sign up for your event through the Corps of Volunteers, the chairman will let you know within two weeks of the event. 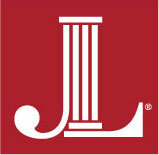 Thank you for considering the Junior League of Birmingham as a source for dedicated, community minded volunteers. All volunteer requests must be approved by the Junior League of Birmingham. Any non-profit organization in the Birmingham metropolitan area is eligible for application. To apply, please complete the COV Volunteer Request Form. Questions can be directed to Robin Seale, JLB Corps of Volunteers Chair.